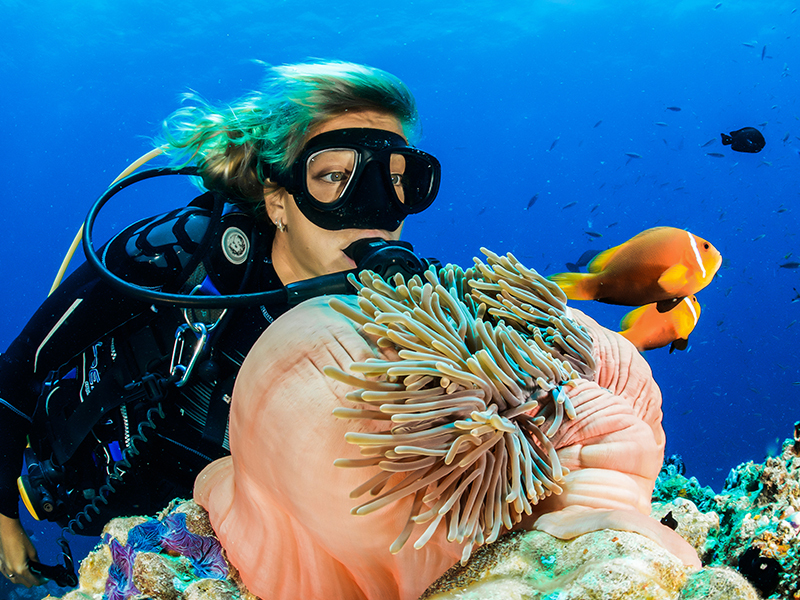 You’ve made the bold move of turning your travel dreams into reality, amazing! 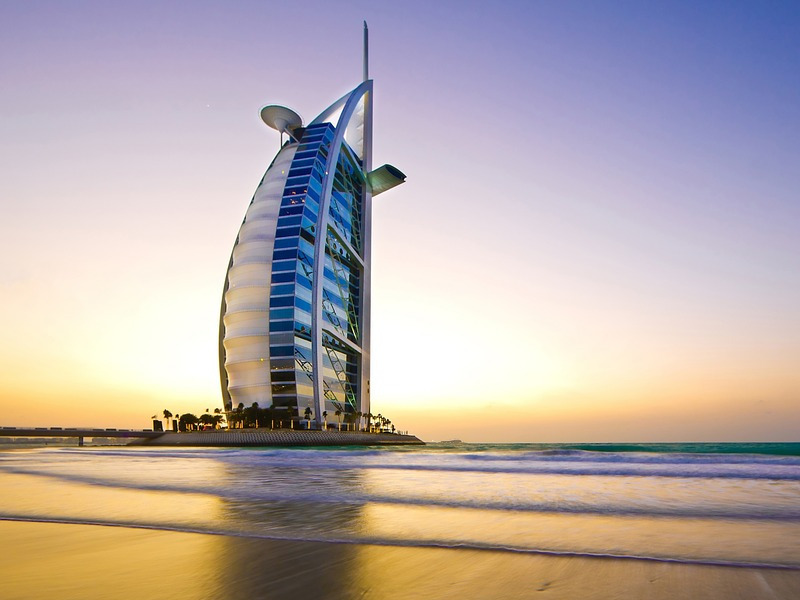 You could be planning to jet off to Thailand with friends, a romantic getaway to Mauritius, or making huge career moves by landing that dream job in Dubai. What an exciting feeling it is to finally fly to that destination you’ve always dreamed of. 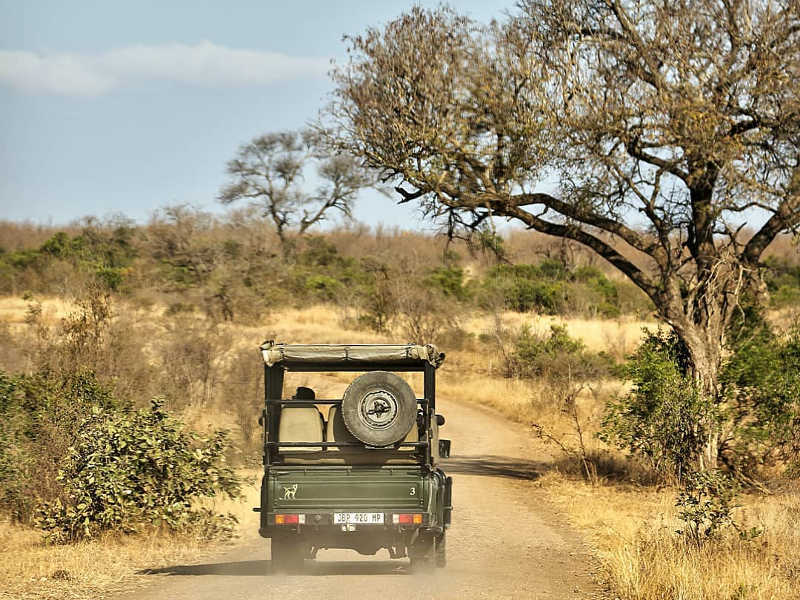 Now the logistics of travel kicks in, the thought of your South African passport application or renewal can momentarily deter the fun of travelling. Suddenly, your excitement for island hopping or shopping in world-class malls is taken over by the all too familiar Home Affairs queues and (quite literally) having to get your affairs in order. Well, you’ll be delighted to know that the angst of waiting in long queues at Home Affairs can be avoided! South African citizens can apply via the eHomeAffairs website. Please note, you will need internet banking to proceed with your online passport application. Applicants will have to go to a Home Affairs branch to capture their biometrics and collect their passport. Cape Town, Johannesburg and Pretoria residents also have the option of recording their biometrics and collecting their passport at specific Absa, FNB, Standard Bank or Nedbank branches. Whether you’re applying for a passport for the first time or doing a passport renewal, follow these easy steps and you’ll be booking your ticket to your dream destination in no time! 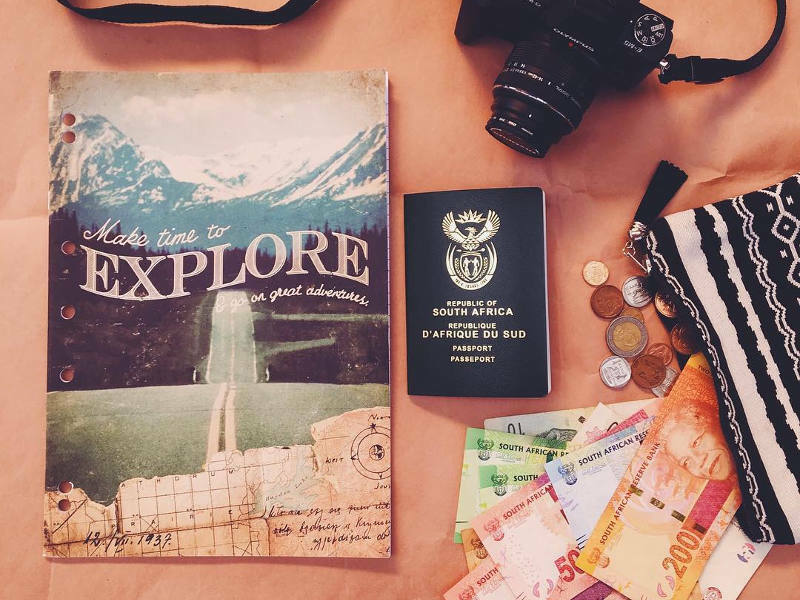 When to Apply for Your South African Passport Renewal? Most countries require that travellers have at least 6 months availability on their passport beyond the date of departure. Therefore, you are advised to renew your passport before it expires within the time frame of your travels. Simply go to the eHomeAffairs website and register. Enter your bank account details on the eHomeAffairs site. You will then be required to log in to your internet banking to authorise the payment. Log in to your internet banking account: go to the “My Bills” option under “Payments” to initiate the payment instruction. Add the Department of Home Affairs as a beneficiary, and a payment instruction will appear under “My Bills”. Finally, enter your reference number and approve the R400 payment to the Department of Home Affairs. Once the Department of Home Affairs has registered your payment you will be eligible to proceed with your biometrics data – two thumbprints, a photo and your signature. You do not need to make an appointment at Home Affairs. Simply go to your local branch to have your biometrics done. You will need to take your ID book with you to the Home Affairs branch. Cape Town, Johannesburg and Pretoria residents can make an appointment for their biometrics at their local bank branch once their payment has been registered (see below). You will be given a choice of time slots. Once you’ve selected a time slot, you will be sent a confirmation via SMS and email. Take your ID book and confirmation email or SMS with you when going to your local bank branch. You will receive a notification that your passport is ready for collection at the Home Affairs or bank branch where your biometrics was captured, after approximately 10 days. With eHomeAffairs services available, your South African passport application and passport renewal process should prove to be a simple and easy task to do before booking your flight to your dream destination. My sister is in Kuwait, she applies for the renewal of her passport early February because her passport is full. It is now more than two months and still no word from home affairs. When you phone the phones are just ringing. She needs urgent help to get her passport by middle May. What must she do to get into contact with anybody at home affairs ? The situation is desperate . People applying for the South African passport abroad have said it can take up to 6 months. Maybe she should contact the South African Embassy to see what information they can give. Or if you could go to Home Affairs on her behalf to get an update. I have done an online application to apply for a new one (appointment 8 May 2019). Will I need to leave my old passport or not, or will I leave it when I pick up the new one? To my knowledge they will allow you to keep your old passport while applying for a new passport. Just follow up with DHA to confirm this. However please keep in mind ones passport needs to be valid for 6 months from date of return or you will not be allowed to travel. A passport must be valid for 6 months from date of return. Please contact the airline she will be travelling on to see what they advise. Is it possible for someone to collect your passport on your behalf when applying at a FNB branch? I have heard conflicting answers to this as they do biometrics when you collect the passport? I am running out of pages on my passport and want to apply for a new passport however I will only have a limited time in South Africa (+/- 5 working days). Would it be possible for someone to collect my passport on my behalf? and what do they need to provide to collect it? I found the following information, “”If you cannot collect your passport in person, it is possible to arrange for a friend or relative to collect it on your behalf. That person will have to present a written authorization from you and a photo ID.”” however this could have since changed and I would recommend you contact DHA for the most up to date information. “You already have a similar application open and in progress with Home Affairs on the old system.”. Sorry you struggling with the application form. The number I have found is: 021 468 4500 If you still struggling to get through best to go direct into DHA where one of their agents will be able to assist. I applied for my passport renewal in Feb , I’ve since heard nothing from home affairs.Is there anyway to follow up ? I need to travel in May and getting rather concerned as I still need to apply for visa. I would go to Home Affairs direct. They can check on the back end and see what the delay is and hopefully give a time frame of when you can expect your passport. Sorry you struggling to complete the application. Maybe try put the country code, again not to sure. If you don’t come right I would suggest contacting the DHA direct and they will need to check on their back end and advise accordingly. Once the renewed passport has arrived at the Home Affairs office; how long does one have to collect it..? Best to contact DHA direct to see how long you have until you have to collect. You can also get family member to collect on your behalf, they will need certain documents though. Sorry, I forgot to say that the passprt expires on 2 december 2019 ie more than 6 months time. Is this why there is a penalty? Hello. I tried renewing my passport which expires on the eHome Affairs site today. it billed me for R400 which is the cost but it also billed for another R400 and said it was a penalty. There was no reason given for the penalty. Can you please advise why this could happen? As their site is charging this, I recommend you contact them direct to see the reason why. I do hope you manage to come right. When will the service be available at banks in KZN? For this you would need to contact your bank. They will be able to advise when they will offer this service at one of their branches. Thank you for the info above, really helpful. My current passport is full, and I have a proposed interview in the US next month. I have applied for a new maxi passport, but the time period to get my new passport and apply for a USA visa in time will be almost impossible. Is there any way to fast track my new passport? Can I travel to the US with a temporary passport? To my knowledge they don’t issue temporary passports anymore. What I would recommend is maybe making your appointment now as sometimes one can wait some time for this. And then apply for your passport. Try motivate that you are travelling soon and hopefully they could speed up the process. last Q, can I go for a new maxi passport without my old passport? it’s still currently with the UK visa office. I’ve checked and see when you re-apply you have to bring your old passport. This is what shows on their site. However I recommend you contact the DHA direct to get the most up to date information for this. I have registered my husband for the renewal of his expired passport. However, on the Application Workpage, it says ‘No payments needed’. Because of this, I have not been able to get any further with the application – the branch of DHA at the FNB branch in Lynnwood cannot help me, and just tells me to go back to the Internet and to ‘complete the process’. He is 85 years old – is this the reason why I cannot complete the process? thanks for contacting us and sorry you struggle in trying to renew a passport. I would suggest contacting the DHA to see what the issue is. As it should be asking for payment and once received you could continue the process. Hi. Do you have to bank with standard bank in order to renew your passport at the bank? If you are renewing your passport through Standard Bank you will need to hold an account with them. Your holding account does not need to be at the branch you are renewing your passport through but you do need to hold an account at that actual bank. Is it possible or am allowed to help my young sister(13 years old) in getting/applying for her passport since well am responsible for her. An adult family member is able to assist a minior in applying for their passport. Please contact DHA they will be able to assist in answering any questions you might have and provide you with the most up to date information on the correct procedures to follow when applying. If my passport is still valid for a further 10 months can I apply for a new one now? Thanks for getting in touch. Yes it is possible to apply for a new passport. I am trying to submit my online passport application but it doesn’t want to submit it just gives me a pending message? All my info is saved. Should I just keep on trying? There could be a technical issue from their side. I would suggest contacting them direct, advise what error messages you are receiving and they will be able to assist. Hi, can somebody please help. In the article, it says that you need to add Department of Home Affairs as a beneficiary and I tried to that, but on the FNB banking up it says that there is no such beneficiary. Is there another name we could use to make the payment. Sorry you struggling to make the payment. I would suggest contacting the bank direct. They would need to look into it on their side and see if there is a technical issue or they would be able to advise where on their system you need to select to proceed to the next stage of payment. My passport & new id are ready for collection at Nedbank Sandton. My question is till what time in the afternoon are they open so that i can collect the documents? You would need to contact the bank direct. They will be able to advise on their hours. hi i just want to find out how much is it to renew a passport and how long does it take? Here we provide all the relevant information. Good day, I have tried calling home affairs, not luck. However did speak to the home affairs official at Nedbank in Arcadia, is there a way to get a Passport an urgent case, in other words faster than the normal approx 14 working days? For this you would need to maybe go into Home Affairs. One of the Home Affair Officials would be able to advise if you are able to get a passport faster then the normal processing time. Hi, my mom needs to renew her passport, can i set her up an account with home affairs and then use my internet banking to pay for it? That is a good question. This should be possible however I would recommend you contact Home Affairs for the most up to date information, as this could change at anytime. Has anyone ever come across this error when trying to submit their application online? You already have a similar application open and in progress with Home Affairs on the old system. Best to contact Home Affairs for them to check on their system. They will check on the back end and should be able to assist. Hi Angela, i received this error today. What did you , to get past this error? To my knowledge as long as that bank offers that service it should be possible. However I recommend you contact the bank directly as they will be able to provide you with the most up to date information. Please note that if you are an SA citizen but NOT born in SA you cannot apply for a passport renewal online. So it would be very helpful to have some details of the process to follow if you have to go to a Home Affairs office – especially info about whether you need to take your own photos with you. Thanks. To get the most up to date information on the correct procedures to follow please contact Home Affairs. As they are processing the passports from their side they will be able to advise accordingly. I am in the same boat and not living in SA. Have you had any further info as how to apply for a passport renewal? I intend on flying into SA next month but need to d a quick renewal as work contract abroad. I am wanting to apply for my 2 daughters’ first passports. We live in Durban, but will be in Cape Town for a week next month. We are planning to apply online and hopefully get an appointment to capture our biometrics while we are there at a Standard bank branch. Do you know if it will be possible for Home Affairs to send the passports to Durban for us to collect from a different home affairs branch? For this you would need to contact Home Affairs direct to see if this is a service they offer. When will FNB Cape Town be able to process passports and ID documents. I bank with FNB. For this you will need to contact the bank direct. They will be able to advise if and when they become a Biometrics Equipped Bank. Hi, when you renew a passport which has still has 9 months before expiry, does it stay valid and can you travel on your existing passport while you wait for the new one to be processed? When applying for a new passport you need to advise Home Affairs to please not cancel your existing passport as you will still be using it. Once your new passport is ready for collection they will cancel the old passport and hand you the new one. However rules and procedures could have changed at anytime, so I recommend you ask Home Affairs direct as they will be able to provide you with the most up to date information. I need to to renew my and my wife’s passport. My daughter(12) also needs a renewal(she has never traveled on her old passport) Also have new application for my son. I believe Cape town branch of home affairs is very efficient…do I just take old passports and ID’s/birth certificates and fall into line? It took 2 hours in total to apply for their passports and they received 2 weeks of applying. They did however go early morning. You would need to take your ID, funds to pay for your new passport and your old passport. We are living in Brunei. My son is 14 and is running out of space in his passport (only two pages left). His passport is filling up quicker since he is travelling to other countries for sporting meets. We are planning to go to Kuala Lumpur in March to renew his passport since that’s the closest embassy to us. We need his passport back as soon as possible to enable him to attend international sports events. However, we were told that it can take up to six months to get the new passport. Is there anything else we can do, something like an emergency passport that might not take six months? If you are South African passport holders, the only other option I could think of would be to come down to South Africa and apply here. You welcome to contact the Embassy to see if they offer any other suggestions. Have you received a passport renewal application yesterday 04.02.2019 for Veronica Huber? Please confirm. You have contacted Travelstart. I’m afraid we do not specialise in passport applications. You will need to contact Home Affairs direct. hello, im moving to Burma end of february and my passport expires december, can i renew from burma or i have to do it in south africa? i hope i can renew from burma or thailand without having to come to SA. Thanks for reaching out. For this please contact Home Affairs direct. They will be able to provide you with the most up to date information. I have done the application for a new passport on the e-home affairs site. I have given bank detail as requested but we have not had any notification’ or something on the online banking that is asking for authorisation. Does anybody know if you can simply bring up the home affairs bank details that are listed on the bank site and put in the reference number that was given in the application by home affairs ? Any advice would be appreciated please, no phones are being answered for me at home affairs country wide…..
On DHA online, you click on the payment tab, put in your account number (not card), bank and account type and click “send to bank” or something similar. Then log onto you online banking. In FNBs case, you click on buy, then the tab on the far right is efiling/smart IDs. Under that, you click “pay” or similar, next to the amount. It then goes straight through. Go back to DHA online, select your appointment slot (bank branch) or no appointment for DHA office. Hope you found it or that helps. Hi. I am about to renew my families passports via the online channel. I am a Nedbank client, can I opt to use the FNB Lynwood branch for the home affairs visit ? or is it a hard and fast rule that Nedbank clients must use the designated Nedbank branches , and FNB clients the designated FNB branches ? To my knowledge one would not need to have an account with that particular bank but you would need to have an account with that participial branch. A Guide to Your South African Passport Application and Renewal: https://goo.gl/MKaZ2j where we advise on the steps to follow. Hi my passport expires in September 2019 and I have to get a new one I have a job offer in the states and I need it within 2 weeks..I have been going to home affairs for 3 days now early and never get to get In..they are busy only doing change of names ect..and its really frustrating.. if I do the online application would I have to still stand and wait in line?or will they help I did try to ask and was stood to stand in line..is it still possible to get my passport renewed I time? Sorry to hear of the frustration you have gone through in trying to renew your passport. I have followed up and was told even if you complete the application online you would still need to stand in line. We are not able to say how long it takes as we don’t have access to Home Affairs database to see if they have a back log etc. You would need to ask one of their employees and hopefully they would be able to give you a time frame of the waiting period when applying for a new passport. Hello my passport expires 11 august and i want to travel to Thailand 28 February till 13March , i read your reply about your colleague getting their renewed passport 7-10 days did they go to home affairs or applied on line? A colleague just renewed their passport and it took 7 – 10 days. Are you applying outside the county? They went directly to Home Affairs, however recently we had a colleague apply and it took a couple of weeks to receive the passport. This really depends if they have a back log. My passport was stolen last year, car break in. In the process my ID and passport were stolen. Can I go directly to a home affairs branch to get new documents off course with an police Affidavit stating the theft? This should be possible, however I would first contact Home Affairs direct to see what all documents they require from you. This way you will have all the relevant documents when you go in. I am currently living in Vietnam and am planning on flying back home to SA to get a new (maxi) passport. My passport is completely full. I am only able to get about 3 weeks off from work. Is there any express option when applying for a new passport in South Africa, Western Cape area? I read it can take 7-21 working days. Even if I have to pay more to get the passport quicker. I’ve checked and can’t see that they offer an express service I’m afraid. It will take about 7-21 working days to process the application and issue the passport. On arrival I would suggest going to Home Affairs and inquiring with them direct to see if this is something they do offer. Would you know if your passport number changes when. you renew it? As have to book flights and still need to renew my passport? When you renew your passport you will receive a new passport number. The only thing that will always be the same is your ID number. My South African passport was handed into the London Home Affairs in June 18, to date I have not received my new one. In December, I was informed by the SA Home Affairs that it had been despatched, and that the London embassy will be able to trace it, this week I went to the embassy and all they say is that it has not yet arrived. Please could you supply a number for me to speak to someone in London. I am due to fly home mid Feb. It would be very helpful to have a tracking system. Hi Barbara, my son living in the UK had a similar problem. He had to fly to London a few times to try and get his passport without success. Eventually I got so frustrated that I wrote a letter to the DA and stated the problem. Within a week my son was contacted by the London Embassy [Home affairs]! and he got his passport. With elections just around the corner, this is now a good time to get a political party to assist you with the job – they are all looking for votes. The issue in Cape Town and around province that we can not get easy access to home affairs. Que’s as 6 hrs long (yesterday I did not get in) in each office plus offices runing without air conditions , people swearing, pushing and you have to watch for your staff – pocket pickup very often especially in Belville. One word – these offices are not organized for amount people which are waiting to get to a officials. This is usually the case where one will then travel with both their old / cancelled passport with their valid visa in it as well as their new passport. However we do recommend you contact the Embassy and Home Affairs direct to get the most up to date information. As visa requirements and information change all the time. Please help, I have applied for a renewal of my passport(which ends in Oct 2019) i will be travelling to USA for 3 months from Feb 2019 so i have to re apply as the return date falls within 6months of expiry. I have applied online but it says i must pay R800, R400 for the application and R400 penalty(which is gives no reason). Not really sure if i should just pay it? I Selected the option for Renewal passport which expires in more than 6months(which is the truth). I have also selected to use FNB Merchant for the biometrics submission. I cant go there unless i pay the full amount and i cant get ahold of Home Affairs (not sure why i expected them to answer, this is the SA gov we dealing with). Should i be paying this penalty? I’ve looked on their website and see they charge R800 if one is applying for a new passport as the other one has been lost. Sorry that I am not able to provide more information. I would suggest you go into Home Affairs, hopefully the queues are not to long and one of the Home Affairs agents will be able to assist. I have also been charged an additional R400. Did you eventually discover why there was a R400 penalty? I renewed my one daughter’s SA passport with no problem and made payment online as well in August 2018. With the second daughter I went through the same process, and tried to make payment with the same Standard bank account. Three months later I am still trying to get that application cancelled so that we can make a new application using my husbands Home Affairs login and payment using his bank account, which is what the Home Affairs contact centre advised me to do. Why does this bank only allow one online payment for minor passport renewal as confirmed by a home Affairs contact centre person today over the phone? This doesn’t make sense if you have more than one child whose passport needs renewal. I even tried paying for the second renewal using my husband’s bank account and this was not allowed. Very frustrated …. Thanks for reaching out and sorry to hear about the frustration caused. This is the first time I have heard of this. I would recommend you contact the bank direct and see what they advise. Your passport needs to be valid for 6 months from date of return and needs to have 3 consecutive blank pages. When applying for a new passport Home Affairs might cancel your other passport. However we do recommend you contact Home Affairs of the South African Embassy in Malawi direct to get the most up to date information. I’m afraid I don’t think this is possible. However you welcome to ask the South African Embassy as they will be able to provide you with the most up to date information. Apologies if you have answered this already, there are a lot of posts above to go through. I need to renew my SA passport (it is still currently valid), but I fly out on the second week of January. This is enough time to apply for a new one, but not enough time to wait for It to arrive. 1) can I still hold onto my current passport after application at the bank, so that I can exit on this passport, i.e. I don’t need to hand it in? I’d hate to start the process, pay for it and then have to abort half way as I need my passport. 2) can someone else pick up my new passport from the bank when it is ready? You should be able to keep your old passport when applying for your new one, however they will probably cancel your old passport in the system which means you would not be able to travel on that passport. I recommend you contact Home Affairs direct to get the most up to date information. I have valid foreign visas in my old passport which has to be renewed and have been told they will become invalid if my old passport is cancelled or defaced-is this so? To my knowledge you would need to then fly with both passports. Your old passport with your valid visa and your new passport. However rules could have since changed so we recommend you contact the embassy and airline you are travelling on, to get the most up to date information. I am a South African living in the U.S. I applied for my passport at the N.Y. consulate in January of 2018. The process is supposed to take 4-6 months. I am due in SA on Jan 20th for University and have still not received my passport. In other words the South African Consulate has no line of communication to South Africa in order to carry out consular services! I have tried with the friends contact ing the Dept of home Affairs to no avail. Please just point in the right direction. Sorry to hear of your struggle. However the Embassy in New York needs to wait for confirmation from Home Affairs in South Africa. Maybe you can try contact them direct to see what feedback they will give. We hope you manage to come right and get your passport in time. Hi there, I have completed an application for a passport renewal, i want to travel to the US in this week, I will be ok with the 6 month validity rule, will my old passport still be valid whilst I wait for my new passport? If your old passport has not been cancelled by Home Affairs, you have 3 consecutive blank pages in your passport and you it is valid for 6 months from date of return you should be fine. However as rules could change at anytime, we do advise that you please contact Home Affairs for the most up to date information. When you apply for a new passport do they take the old one? When applying for a new passport they do not take the old passport. I need to collect my passport from Nedbank Rivonia. Is it possible to collect it on a Saturday? Best to contact them direct to see what their office hours are as well as opening hours. Please be aware that the cost for a new passport doubles if the old passport has been lost. The process at Home Affairs can be expedited by applying online – remember to let reception know when arriving, and be aware that the online payment cost may also be doubled due to a system error :(. I am currently living in the uk with an indefinite leave to remain in the uk visa, This visa is not in my current South African Passport, it is a separate document. My passport expires on the 23 Feb 2019 and I have applied for my new passport 4 months ago in London, but it has not arrived yet. If I take the Passport renewal form and explain my new passport has not arrived yet, will I be prevented from travelling to or from SA? Is it possible to re-apply for my passport in SA when I am there? This is up to the custom officials discretion. I would recommend you contact the airline you will be travelling on as well as the Embassy to see what they advise. I’m travelling on 10 January to return 21 January 2019. My passport expires 27 July 2019. I am aware of the 6-month post return validity rule and just wanted to find out if I would still need to apply for a new passport as mine will be valid for 6 months and 6 days upon my return? If you passport is valid for 6 months or more and has 3 consecutive blank pages in it, you should not experience any problems. I am going to apply for my son’s (9yrs) passport in SA as it takes 6-9mths from abroad. I will do this at Home Affairs upon arrival in Jhb. Is it possible to request that the passport is delivered to the Cape Town Home Affairs for collection as we will be travelling onward and depart from CPT? Secondly, he also has dual nationality (British) and the SA passport will expire whilst we are in SA awaiting the renewal. Will he be able to get a temporary travel document as he will enter our country of residence on his British passport? I’ve read that he can’t enter/leave on another passport. For this you would need to contact Home Affairs to see if they offer this service for sending his passport to be collected in Cape town. To my knowledge this is not possible he will need a valid passport, but you welcome to contact the British Embassy direct. They will be able to advise accordingly and provide you with the most up to date information. This is the usual time however it is not a guarantee. Sometimes the process and be shorter or longer depending if they have a backlog. When renewing your South African passport, does your passport number change? However you welcome to check with Home Affairs as they will be able to provide you with the most up to date information. If you have a visa which is still valid in your old passport you will need to fly with both your old and new passport. We do request that you contact the airline you are travelling with just to make sure. Is it okay to leave SA with less than 6 months left on the passport. Only concern is immigration at OR Tambo? Your passport needs to be valid for 6 months from date of return and you need to have 3 consecutive blank pages in your passport. If you do not have this you could be denied boarding and or stopped at immigration. My passport expires May 2019. I am working in China and will be home in January to renew. Will I have a problem at the Hong Hong airport because mine expires and it not valid 6 months before travelling home to SA? The rule is your passport needs to be valid for 6 months from date of return or you could / would be denied boarding. This is up to the discretion of the airline check-in staff and immigration. I would suggest contacting the airline you travelling on and see what feedback they provide. Please can you assist? My manager registered online to renew her passport. Unfortunately she has forgotten her password and the e-mail address she used does not seem to work. We have tried to reset the password on numerous occasions, but it keeps rejecting as it does not recognise the e-mail address we enter. Please can you help by advising how we can get this sorted? We have tried to contact Home Affairs telephonically but cannot get through to them. I would suggest you go into Home Affairs then for one of the consultants to assist in trying to reset the password. How do you change your appt date and time on the DHA website? For this you would need to contact Home Affairs directly. They will be able to advise on how to change an appointment on their website. For this you would need to contact Home Affairs. They will be able to advise how long you will have before you can collect. I would think 2 weeks is still fine. I don’t think so, however I recommend you contact Home Affairs direct as they deal with the passport applications and will be able to provide you with the most up to date information. Firstly thank you for such excellent information! You sound very informed on this. I am in a unique situation. I live in Vancouver Canada and still hold a south African passport. It expires in 2021. But it is completely full. No more pages. I need a new maxi passport because I am travelling back to Spain on January 10th 2019. I have been advised that applying directly in Home Affairs in south Africa would be faster. So I am organizing my flight down there. I do not have a south African bank account only Canadian one. How do you advise I go ahead with this process? Should I open an SA bank account when i get there? Also if i arrived on Dec 22nd, would that be a bad time to apply for a passport considering Christmas and New year? I have followed up with a colleague who advised when he moved back to South Africa and his SA passport had expired, he did not have a South African bank account and was able to renew his passport. However I recommend you contact the Department of Home Affairs as rules could have since changed. One is not able to say if December is a busy time. We’ve had clients who’ve applied for their passports in Decembers, a day apart. Both arriving early morning. One just walked in and was assisted within minutes, other had to queue for quite sometime. I have a 10 year visa to the UK which is expiring in March 2019. I am travelling to the UK on the 7th December returning 14 January 2019. Is this visa alright to travel on as it’s within 3 months of expiry? We recommend you contact the Embassy or official visa handling agency direct. They will need to advise if this is ok. Best to check before departing to avoid any disappointment. HDoes anyone know if it’s possible to just drop into FNB Merchant without an appointment? I’ve just booked a timeslot at FNB MERCHANT but the earliest date I can get is the 27th of November. When I submitted the booking a pop window said that this location can “process without a booking”. It’s a long way for me to drive only to be turned away. I would suggest to maybe give them a call and see what they advise. Hope you manage to get an earlier time slot. This should not be a problem if you have no pages left in your passport, if the others are damaged. For any further queries you welcome to contact the Branch you will be applying through or Home Affairs direct, they will be able to answer any passport renewal queries you might have. The eHome affairs app is a waste as you still need to stand in the queue and wait your turn to get your finger prints done. Which is seriously a waste of time, because of the time it takes to wait at home affairs. This may be a silly question, but do I have to be an account holder with the particular bank in order to be able to have my bio-metrics tests done with them? To my knowledge one would not need to have an account with that particular branch but you would need to have an account with that participial bank. I was wondering whether you could give advice. We are leaving for Mauritius on 23 November 2018. I have an appointment for my new passport (my previous passport is full) on 17 October. I have made an appointment for our new baby’s passport on 30 October. Do you think this will be enough time? If I have to do it earlier I’ll consider going to a different ABSA branch to get an earlier appointment. (I’ve booked at ABSA Centurion Lifestyle). I’m really having problems with my 5-year old’s passport renewal. I’ve done her application but they keep op saying the cost of the application is R0.00 but I can’t make a booking without paying! Very frustrating. Is it possible to just visit ABSA Centurion Lifestyle and try and speak to someone there? Or do I need an appointment to chat to someone for advice? I’m afraid I am not able to advise if this would be enough time. It really depends on Home Affairs and if there is a back log. What I do recommend is doing it as soon as possible to avoid disappointment. Hi, I have an expired SA passport, and have dual citizenship with New Zealand. My NZ passport is up to date. I have read that it is an offense for SA citizens to travel into/out off SA and NOT use their SA passport… but renewing takes 6 months or more and I need to travel to SA from NZ in 2 months! Someone at the SA high commission in NZ told me I had no options, but then someone else from the same place told me to just apply for a tourist visa with my NZ passport and it should be fine since the SA passport has expired. Did you have any luck with this enquiry? We are having the same problem and are desperately trying to find a solution. Application is less than 10 days to receive your passport. I’m afraid we are not able to confirm if it’s down or not. Hope you manage to come right in the end. when I complete the online application, do i need to sign them before submitting? I hope you can help. Hone Affairs has not responded to my query. My son will be traveling to Botswana, Namibia and Zambia with my parents in December /January but his passport expires in May 2019. As most websites confirm that the passport must be valid for at least six months after date of departure, I have followed the online renewal application steps, however, a window pops up after inserting his details that a document for him already exists. Please be so kind as to advise. Am I missing something on the application? Surely this should be possible online. Thank you so much for your trouble and time. Sorry to hear you struggling with this. However for this you would need to contact Home Affairs direct. They have access to their records and will be able to answer any passport application or renewal query you might have. However we do recommend you contact the Bank you will be doing your application through or Home Affairs direct to see if the information is still the same. As this could change at anytime. Hi. What is the average time one can expect to obtain a a S.A. passport after application is lodged? Time frame depends on if Home Affairs has a back log or not. It will take roughtly about 7-21 working days to process the application and issue the passport. The tourist passport is valid for 10 years. Hi I am awaiting my Babies passport, applied on the 22 August and the application still says processing online. I’ve done the application at Standard Bank Killarney- there is no response telephonically and I really need to have her passport as we are planning a holiday soon. You can try go in and speak to an agent. Hopefully they can check on their records and give feedback. Is it possible to apply online and do biometrics in Jakarta, Indonesia? You would need to check with Home Affairs or the South African Embassy in Jakarta. I have dual SA and UK citizenship. I am in Bali on a 6 month social visa which is in my UK passport. My SA passport expires 1 Jan 2019. I see that I can get apply for my passport to be renewed in either Jakarta or Hanoi but they state that it takes up to 6 months to get the passport back since it has to all go back to SA. If I arrive back in SA in March 2019 with a valid UK passport and an expired SA passport, do you know if that would that be a big issue? If so, do you have any advice on what I should do? I think it could be a problem arriving back in South Africa on an expired South African passport. For this query you would need to contact the Embassy direct. They will be able to provide you with the most up to date information and correct procedures to follow. Hi, do I need a police clearance before applying for a new passport, how long does a police clearance last. You welcome to read through our blog: A Guide to Your South African Passport Application and Renewal. Here we provide the steps and what is required when renewing your passport. Hi,I didn’t get the answer in your blog.Do I need a police clearings sertificate be for applying for a new passport.? I’ve checked on Home Affairs website. They state if the passport is lost you need to report it to the policy but nothing about a police clearance certificate. However please contact home affairs as they will can provide you with the most up to date information on what documents they require from you when applying for a new passport. Renewing a SA passport from outside South Africa is an absolute nightmare!! It takes 6 months minimum! Thanks for the useful article. have gone through the online process with no difficulties, but making a booking I’m having an issue with. I am only offered to make a selection of dates from the 04-09-2018 (tomorrow) to 01-10-2018, but not any further and there are no available time slots within that range apparently. What is my recourse? Do I now have to go to Home Affairs, or can I keep trying to make a booking? You can keep trying to make a booking on the time and date slots available. However I would recommend contacting them and they will be able to answer any queries you might have. We just applied for a new passport for our son. He’s passport is still valid for one year, it takes 6 month’s for the new one to arrive “according to the embassy. When will his old passport be cancelled, only when the new one arrives or as soon as they get the application. We are going to Turkey at the end of the month? I would suggest contacting Home Affairs, when applying did you advise them you will be travelling soon and still need to travel on the old passport. Please contact them direct and they will be able to provide you with the most up to date information,. 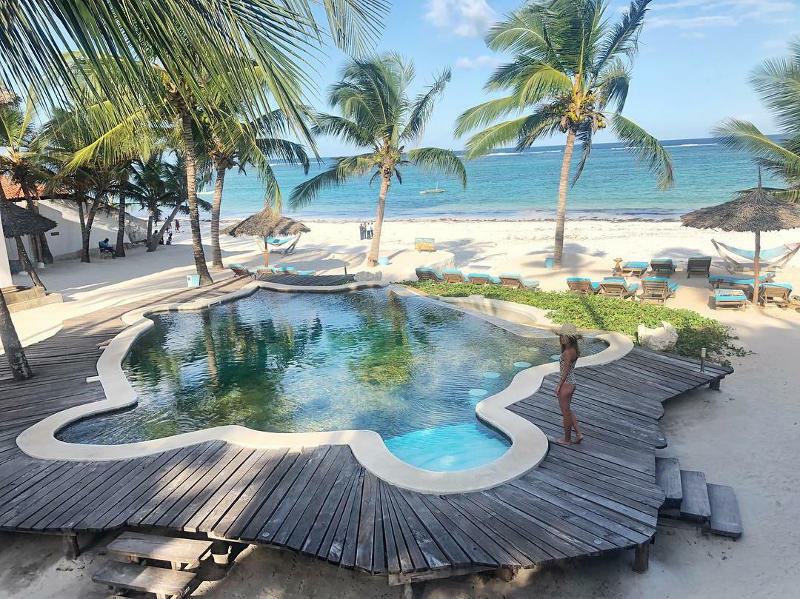 I have a work commitment in Mauritius and my handbag was stolen with my passport in it. i need to find out – can i get an emergency passport for this? How much does the emergency passport cost? I’ve looked up some information however not sure how updated this is. So I would recommend you please contact Home Affairs and they will be able to advise accordingly. Also contact the Embassy of the country you will be travelling too, to make sure when travelling there they will accept temporary or emergency passports. Please be informed that the Department of Home Affairs will no longer issue Temporary Passports as from 01 September 2014. 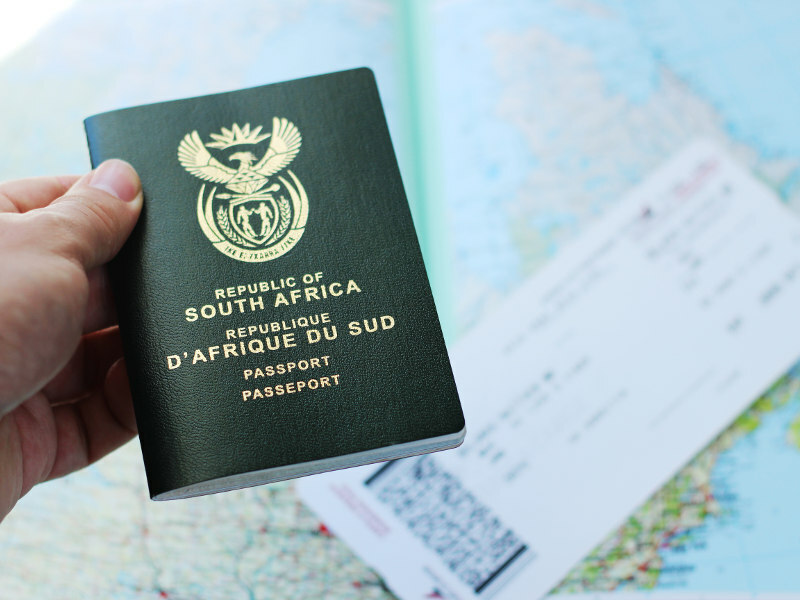 South African citizens travelling abroad as well as to the neighbouring states are refused entry into a number of countries when travelling on Temporary Passports. This has resulted in accusations and claims against the Department in cases where citizens are refused entry into a particular country despite the Department having issued the Temporary Passport. A Temporary Passport was initially issued as an interim travel document due to longer turn-around times taken to issue a permanent 10 years tourist passport. This turn-around time has improved drastically rendering issuance of Temporary Passports redundant. Finally, Temporary Passports have been abused for corruption purposes and this threat remains, which puts South Africa at risk of its travel documents being unreliable and not trustworthy. Elimination of Temporary Passports aims to remove this risk. if traveling to countries accepting ETC on emergency cases, such as family member in distress that needs immediate assistance or deceased family members. I’m an American and South African Citizen, my SA passport expired and I entered South Africa on my American passport, but was repremanded and threatened with jail time and a fine at immigration. I was told I had to renew my SA passport before I can leave the country. I have a flight in a few days, I renewed the passport as soon as I could the next day after arrival. Can I leave the country on my USA passport or am I stuck till my SA passport arrives and I also have a trip to Russia booked on Sept 17. I’m afraid we are not able to advise on this. I would suggest you contact the airline you will be travelling on as well as Home Affairs to get the most up to date information. Did u apply to SA for dual citizenship or fill in a form at all….. My son has the same problem….. Been a USA citizen for 10 yrs….. Just upped and never came back…. He will have the same problem I believe but is not interested in renewing the SA passport… Any ideas?? Id like to renew my passport in my married name, what documentation would i require? Please contact Home Affairs direct they will be able to advise on the correct procedure to follow and what documents they would need from you when renewing your passport in your married name. Online registration and form submission. Online form confirmation letter, Marriage Certificate, and your old Passport. You may need your proof of address, and to go in to a bank or Department of Home affairs to register your Biometrics. Source, just did it with my wife a week ago. Do you have to bank with that particular bank to use them for passport renewal? i.e I do not bank with ABSA but can I still do biometrics there? You need to have an account with that bank, but you don’t need to have specifically opened up your account at that branch where you wanting to renew your passport. I was taken for a ride by some woman to obtain my passorts x4 – 2 adults and 2 kids. I paid a damn hefty price for it because she used the que as a way to deal with her. With all that, however what she did was, she paid for my passports though and gave me non stamped receipts, however anyone can pay without standing in the que is what I was told by a supervisor there at the home affairs department – this is such a schlep in the system because if we unaware we can get conned so easily really. So after this woman, I tried a reputed agency cos I had dealt with them previously. They couldn’t help me because they said that they only deal in one area and since my payment was made in another area, I will unfortunately need to go back to the same place to do my passports. How do I even get my passports done now since the ehome website only allow for one person to log in and do only one passport. It doesn’t allow to enter any other info for the spouse or kids. So this is out of the question also. Can I not go into another area where the que may be smaller to get my passport done even though my payment was made somewhere else? 11 December-1 January 2019. My passport expires the 28 May 2019. Your passport have to be vallid 6 months from when you depart and I can not renew it 6 month before it expires because i will be out of the country then and i can’t do it before i depart because they penalise you and you have to pay R 800.00. Can you extend our expiring date? Can some one please explain to me way i will be penalised for not having a choice to renew it before i depart? I have called Home affairs and they can’t give me a reason. You can renew your passport at any time. When you renew your passport, time left on your existing passport is added to your new one, up to a maximum of 9 months. You would need to contact the Department of Home Affairs to see if this is something they offer (extending the expiry date) I don’t think so, but you welcome to check. For this she would need to contact the Embassy direct. They will advise on the correct procedures to follow when renewing her SA passport. When you’re a citizen applying from abroad, you could run into severe issues if you do not plan your renewal application and allow enough time. You CANNOT use the eportal to apply. If you renew your passport from an embassy abroad, the expected turnaround time is SIX MONTHS! While you are waiting in the foreign country, there is no way to check the status of your application, since the contact center only has a 0800 number that you cannot phone from abroad. So for the people who are most dependent on their passports, a passport is like a shot in the dark, hoping that everything will be OK after the 6 months…. Does Home Affairs keep previously scanned biometric info? For example if you have done your smart ID before? Do I still need to do the biometrics part for passport renewal? For security purposes, I think this would need to be done each time when applying. However we do recommend you contact Home Affairs direct as they will be able to provide you with the most up to date information. Hi Marcelle / Jeanette – I have tried the online application several times over a period of 1 month. Like Jeanette I am asked to pay R400.00 plus a R400.00 penalty fee otherwise I cannot get an appointment with the bank. Not sure what your colleagues did and how they managed to get the applications through. Comments from others who have gone the same route would be appreciated. I would suggest to contact Home Affairs direct then. Process could have since changed. They will be able to provide you with the most up to date information. I hope you manage to come right. Home Affairs charges R400.00 for passport renewal plus another R400.00 penalty fee for online passport applications. In other words you must pay R800.00 for passport renewal whether you have your passport (or lost it). Without paying R800.00 you cannot book an appointment with the bank. This is a scam on the part of Home Affairs! The public should not allow it. Guess some people will pay the extra R400.00 just not to queue at Home Affairs but what is wrong is wrong and the public should object loudly and clearly. Two of our colleagues have done the online application for renewing their passport and only paid R400. They paid through the bank and got a receipt which they presented at Home Affairs when collecting their passport. If I live in Cape Town and want to renew my daughter’s passport at the Standard Bank that offers the service (in Canal Walk), do I have to have a bank account with Standard or could I just book an appointment? I am an FNB customer. Only some banks offer this service and you will need to have an account with the bank to renew your passport. Best contact FNB where you hold an account as they will be able to give you the most up to date information on this service they provide. Hi, I am currently not in South Africa and my new employment company requires me to have 6 blank pages(I only have 4 left), my passport expires in 2021. I would like to know if I can apply for my passport online (from outside of South Africa) and collect it when I am back in South Africa. Also , if I am in South Africa how long will it take to renew my passport ? I don’t think this is possible. However I would suggest contacting the South African Embassy where you and they will be able to advise accordingly if this would be possible or not. Can a third party collect a passport if the applicant is out of the country? Anyone other than the applicant coming to collect the passport must bring his/her ID book, a letter stating that you hereby authorise “so-and-so” to collect the passport on your behalf and the acknowledgement of receipt slip obtained when the passport application was submitted. A driver’s license is not an acceptable form of identification. The collector will have to sign a register. Please note this information could have since changed so we do recommend you contact Home Affairs direct to get the most up to date info. Hi there, anybody know this? I was born in Johannesburg and moved to Switzerland when I was a young child. I received a Swiss passport and my South African passport expired in the early 1980s. Can I just re-apply for a new South African passport? And can my two kids (both born in Switzerland) also apply for a South African passport? For this you would need to contact the South African Embassy in Switzerland. They will need to see if you are able to renew your South African passport there and if your children are eligible for a South African passport. Hi can you assist me, can my wife and child also apply by Standard Bank or only myself as I’m a acoount holder there? Also what do I do with a new born baby regarding passport? Much appreciated. To my knowledge it would only be able to be the account holder who would be able to renew their passport. Have proof of your identity. Supply 2 passport photographs. Confirm with your nearest Home Affairs office if they’re using the new biometric system. If so, then you don’t need to bring your own photographs. It will take between 7 – 21 working days (estimate) to process the application and issue the passport. The child’s passport is valid for 10 years. Please contact your Home Affairs office before visiting, to confirm if they’re using the new bio-metric application system, or if you need to bring your own photos and to get the most up to date information as this could change at anytime. Hi! I applied for my passport on the 2nd of June. It was dispatched to the Bronkhorstspruit Department of Home Affairs on the 18th of June, but they don’t have it. After numerous phone calls & visits to the branch, I was finally informed yesterday by the supervisor that my passport along with 26 others was in hijacked on route to the department. No one contacted me about this. Nothing has been done to get the passports cancelled & renewed. Apparently they are still waiting for it to be signed off by the director general before the entire process has to start again. I have contact details for supervisors, but they say their hands are tied. And in the mean time I cannot get out of the country to get to my father-in-law who has been hospitalized in Greece. What can I do? Who can I contact? Surely this must be due cause for a temporary passport while I wait for the department to sort out their lives. Firstly sorry to hear about your father in-law. I would suggest going into Home Affairs direct and ask to apply if you could apply for an emergency passport. Again, best to contact Home Affairs, they will be able to advise on the correct and most up to date procedure to follow and how long it could take to receive an emergency passport. Hi there, I wonder if you could possibly give me some advice. My passport will expire on 9 January 2019. I will be in Saudi Arabia at that time, and will only return to South Africa around June 2019. I should be able to renew my passport through the South African embassy in Riyadh shortly before the passport expires, but I’m not getting a response from them. I was wondering if I could I renew the passport now, before it expires. I am in Pretoria at the moment, and will leave for Saudi Arabia on 13 August. If I renewed it now, though, I might have a problem getting through immigration as my current exit/reentry visa is linked to my current passport number. Your thoughts on this? To my knowledge you should be able to renew your passport before it expires. You can also provide this information to Home Affairs as to why you will be applying now for a new passport as you will be out of the country when it expires. And one’s passport has to be valid for 6 months from date of return from your travel. Hi, when registering on ehomeaffairs, an OTP will be sent to my SMS, but I’m not receiving it. This could be a fault / glitch on their side. For this you would need to contact Home Affairs direct to see what the problem is. Hi Can someone please advice me what sort of documents are needed for a 17 year old that is not travelling with both his parents but a guardian. We do recommend you contact Home Affairs as this information could have changed at anytime. Hi Marcelle, I would like to collect my children’s passports from Home Affairs. Do they have to accompany me and/or must I take copies of the their documents with me? I’ve followed up with a colleague of mine who confirmed she collected her children’s passports and they did not need to accompany her. Her kids are under the age of 16. The collection policy when collecting on behalf of you children could have since changed so we do recommend you contact Home Affairs direct to get the most up to date info. IfI do the online application and then just have to go to home affairs for the biometrics – does this save me any time in the q’s when I get there or do I still have to wait in the same q’s? If so – I may as well just do it all there. Thanking you in advice for the advice. My colleague applied for his passport 2 months ago. Did the application online and then went to home affairs for the biometrics. He confirmed it did save him quite a bit of time not having to stand in the queue as he had already completed the application form so he went straight through to the next queue for the biometrics. My sister is coming to SA just to renew her passport. She can only stay for 10 days. Can I collect her passport on her be halve? If so what document or letter must she fill in for me to do so? Anyone other than the applicant coming to collect the passport must bring his/her ID book, a letter stating that they hereby authorise “so-and-so” to collect the passport on their behalf and the acknowledgement of receipt slip obtained when the passport application was submitted. A driver’s license is not an acceptable form of identification. The collector will have to sign a register. I need to renew both my passport and that of my wife. (1) Do I need to register each of us separately? (2) Can I pay for both from my Standard Bank Account? My wife does not have her own current account. To my knowledge you would need to have an account at the that bank you would be applying through. I suggest you contact Standard Bank direct to see which of their branches offer this service of renewing a passport and ask if it would be possible for your wife to renew hers even if she does not bank with them or have a current account. As Standard Bank offers this service they would be able to provide you with the most up to date information. If I am doing the process via the bank, does it mean that I must have an account with any of them? For example, Can you be a Capitec account holder, register and pay online /eft. And will be able to select a time slot at a Nedbank ? You will need to have an account with that bank you would like to renew your passport through. Also please contact the bank to see which of their branches offers this service. Your passport needs to be valid for 6 months from date of return. So if you are travelling in July 2018 and will be returning November 2018. Your passport still needs to be valid for another 6 months. One is not able to advise on how long a passport can take. I had a colleague who applied 2 months ago for his passport and received it within 5 days of applying. I have heard that others have waited weeks. It really depends on Home Affairs, where you apply, time you apply and if they have a back log. For the most up to date information we do recommend you contact the Embassy or official visa handling agency with regards to any visa queries and Home Affairs for any passport related queries. They will be able to provide you with the most up to date information. I need to renew my daughter’s passport. When we first applied, My husband and I both had to go to home affairs. Will we both still need to be present? To my knowledge only one parent needs to be present. However I suggest to contact Home Affairs before applying as they will be able to provide you with the most up to date information. Avoid using the Consular Service in London! Apart from the staff being rude and unhelpful, the applications are POSTED to SA and will take months. Useless, particularly the staff that decide if they deem for you to get a “number” to wait hours. I am South African but live and work in Thailand. My work visa is on my UK passport and I enter and leave Thailand on my UK passport, I have dual nationality. So, I am coming home to visit my mom in Underberg, Drakensberg, all tickets paid, all arranged and I will have 12 days on the ground before returning to Thailand. I recently looked at my SA passport and it expired last year October…, now, I know I have to enter SA and leave on my SA passport or risk losing my citizenship which clearly I’m not willing to do. I have already received an emergency travel certificate very easily from my SA embassy here in Thailand but my issue is leaving SA again. Where i live in Underberg is nowhere near a home office that can arrange a passport in time for me to leave again and besides that I would have to waste half my 12 days trying to do a new passport in Pretoria or JHB which still would not guarentee that i would receive a passport in time for my return (non changeable) flight. I would appreciate any advice please. Maybe try contact the South African Embassy in Thailand if you are struggling to get hold of Home Affairs here in South Africa I would suggest contacting the Embassy in Thailand. Hopefully they would be able to shed more light and point you in the right directions. I am not sure if they would be able to issue you with a temporary passport. Again they specialise in this area and would be able to provide you with the most up to date information. My passport expires in November. I filled in an application form on line with Home Affairs. When it came to payment it automatically showed R800,00. I specifically said my passport would expire in less than 6 months i.e. did not say my passport was lost. The fee should accordingly show as R400,00. I further indicated I wished to do so at Standard Bank Killarney. Am I correct in my assumption that the fee should be R400,00 and not R800,00? If so, how can I change the R800,00 on line (it is frozen thus cannot be changed). If one is renewing their passport the cost should be R400 as we just had a colleague pay this amount. It could be a glitch on their system and Home Affairs would then need to look into it and change it on their side. For this you would need to contact them direct. Please help: are there any Absa branches in Cape Town where one can do the biometrics for passport application and renewal? For this I would suggest contacting Absa direct they will be able to advise which of their branches offer this service. I have an expired SA passport and an EU passport. Will I be able to apply line through FNB? Thanks for getting in touch. For this you would need to contact your bank to see if this is possible. They will be able to provide you with the most up to date information. Hi there, am struggling to book an appointment with FNB Merchant, at first I thought it was the payment but I have made payment and this has been updated on the system, the system only gives dates till the 5th of June after that the dates are greyed out. Between now and the 5th of June it says no available timeslots. I even tried with FNB Centurion and Lynnwood and i still get the same message. Surely not all three branches are full till then? Does anybody know how else I can book an appointment with the bank? Sorry to hear you struggling. Best to contact them direct they will be able to assist and give a step by step guide on the procedures to follow. FNB would have access showing what appointments would be available on their side. It would be best to contact them direct, they would be able to provide more information. I hope you come right and manage to book the appointment. I applied for a new passport on line as my passport expires 4 months after my return from holiday in Oct 2018 and the minimum requirement is 6 months. I am leaving for Mauritius on the 14th May 2018 and was going to use my valid passport. When I contacted the Dept of Home Affairs call centre I was told that my valid passport will be made inactive when the new one is issued and that I should have requested the passport to be kept active. Nowhere on the on-line system does it ask this question and nobody at the bank where I did my biometrics asked me. I visited the Home Affairs office in Pretoria today and was informed that my current passport will be valid for travelling next week. The only time a passport is cancelled is when lost or stolen. I am VERY concerned as I am now not sure who to believe. The last thing I want is to arrive at the airport on Monday and not be able to board the plane for a holiday we saved for for a long time!!! Please can someone give me some advise? I recommend going back to Home Affairs and ask to speak to a manager on duty. Hopefully he/she will be able to clarify things. Ilza, can you please share the feedback you received – I have the same problem. In the end, were you able to use your older valid passport to travel? Did it land up still being ‘active’? How many days or months must my South African Passport be valid for if I am traveling in September? Mine expires on 2nd February 2019 and I want to Uk on 10th September 2018. You will also need 3 consecutive blank pages in your passport. Going to travel to India in June this year ..my passport expire in August ..do I have to Rene it before nthen …or will it be valid . Ones passport needs to be valid for 6 months from date of return. So the date you arrive back in South Africa you passport needs to be valid for another 6 months and has to have 3 consecutive blanks pages in it. Sorry to hear you still waiting on your daughters passport. I would suggest going into Home Affairs and ask them to check on the back end to see what the hold up is and hopefully they can shed more light. Can you walk into one of the above mentioned branches to apply for a passport without an appointment? Cape Town, Johannesburg and Pretoria residents can make an appointment for their biometrics at their local bank branch once their payment has been registered. Do you need to hand over your old passport in order to apply for a new one? I would like to continue using my old passport for 2 more months, while I give permission for a family member to collect the new one. I will then return to collect it from family. This is a good question. If you needing to travel on the old one and need to apply for a new one as need it for your return for another trip coming up, it could be possible I think. However you would need to follow up with Home Affairs, they might need further documents confirming as to why this is the you wanting to keep the old one without them cancelling it. Usually the cancel the old one (which you can keep in case you have other valid visa’s like a US visa which some are valid for 10 year) and then receive your new passport at a later stage. Which means you will be travelling with your old cancelled passport and your new valid one. Sorry to hear you are struggling with the renewal process of your passport. I would suggest contacting the bank you would be applying through. They will be able to provide you with the most up to date information on the correct procedures to follow. Hi I travel to the USA in December and arrive back in SA on 14th Dec. My passport expires on 20th May 2019 (5 months after i get back) Do i need to get a new passport. Yes that is correct. Your passport needs to be valid for 6 months or more from date of return. Hi ,my old passport expired long ago,i need to renew wich docs i need to renew it.just the old passport! All the relevant information will be provided. My daughter’s passport expires on 03 October 2018. She is currently 17 years old. when I go to FNB Merchant Place for our appointment to renew her passport. What documentation/letter do I need from him to take with me to our appointment? Please contact Home Affairs direct as they will be able to advise what documents they would require from you for renewing your daughters passport, the correct procedures to follow and the cost involved. I am travelling to Australia in August 2018, my passport expires in January 2019 – hence I will have to get another passport as Australia will not allow me in (passport expires within 6 months of my trip) – Is it correct that I am charged DOUBLE by Home Affairs for a new passport in this instance? That is correct, you would need to apply for a new passport however I am not sure on the being charged double. Best to contact Home Affairs they will be able to provide you with the most up to date information. Hi I need to get a passport and unabridged birth certificate for my 16 yr old. But her father lives in America. How do I go about? Documents? In a case like this we recommend you contact Home Affairs. They will be able to advise on what documents you would need to get and the correct procedures to follow. Where would one go to renew your S.A Passport in the U.K, besides the London office ? You can always contact the South African Embassy in the UK. They should be able to point you in the right direction on renewing your South African passport in the London. after getting an sms notification that my passport is ready to be collected, how long will home affairs hold onto it before i collect? One needs to collect your passport within 3 months of receiving the notification or they will destroy the document. However the time frame could have changed an now could be less. It is best to contact Home Affairs to get the most up to date information. Please advise if my understanding is correct in what I need to have with me to renew my passport. Is there anything else like proof of residence required. Nothing else is required. This blog was was published at the beginning of 2018 so some information could have since changed. You welcome to contact Home Affairs to get the most up to date information. A Query: My passport expires July 2018. I usually leave SA on SA passport and enter UK on Brit passport (still fine), and visa versa on return to SA. My return to SA is 29 May 2018. Would it not still be safe to travel without renewing my SA passport or is it necessary to fight Durban/Pinetown queues to get a renewal before leaving? Your passport you travelling on needs to be valid for 6 months after date of return. So if you departing on your South African passport they will check to see how long it is valid for, for when you return. It is up to your discretion should you wish to take the chance and fly, we do not recommend this. My passport is almost full but I live abroad (filled a maxi in three years) and I would need to renew my passport soon. Last time I renewed it abroad it took about 4 months to arrive so am looking to do that whilst on holiday in South Africa. I’ve heard some people having short turn-around times but others not so not banking on that. Is it possible for someone else to pick up your passport (signed affidavit etc), or how long do you have to pick it up? Also, is it possible to have two South African passports for business purposes? Hi, how do I renew my passport (it’s expired) from new zealand? I can’t find any specific information anywhere and the embassy does not seem to ever take calls (a voice message that says they are busy and try again later). Please advise. Thank you. Sorry to hear you are struggling to renew your passport and get hold of the South African Embassy in New Zealand. Sorry to hear the struggle you have gone through in trying to renew your passport. This could be a glitch or tech error on Home Affairs website. If you don’t wish to go in, you would need to call them, however sometimes it does take time for them to answer. I keep getting the following error code when I try to submit my application for a new ID card and a Passport, does anyone know what it means? Sorry to hear you experiencing problems when trying to submit your application for a new ID Card and passport. I’m afraid I am not able to shed light. I would say best to contact DHA direct and see what information they can provide. Best of luck and hope you manage to come right. Do you have to bank with a specific institution or can I, for example, go to a Standard Bank branch when I actually bank with ABSA? Only some banks / branches offer this service of renewing ones passport. However please contact the bank direct as they will be able to give you the most up to date information on this service and which of their branches provide this service. Im currently living in Dubai and have run out of pages in my current passport which is valid until 2023. I would like to get a new maxi passport. Is it possible to apply on line in Dubai and collect it once it is ready in SA? I am from Durban. Please contact the South African Embassy in Dubai. They will advise you on the correct procedure to follow. I would love some advice, I tried to apply online so I could go via Standard Bank for the biometrics portion of the process. When I tried to submit the passport renewal application, I got a message saying that I have an existing application open with the old DHA system. I haven’t attempted this before so I don’t know how it is possible, I am also unable to query the message online. Have you encountered this error before? Sorry to hear you are struggling to renew your passport. For this you would need to contact the Department of Home Affairs so they can check on their system / the back-end to see why you are receiving this message. I hope you manage to come right and get the ball rolling on renewing your passport. Although I am a South African citizen, I was born in the UK. I note from the website that as I was not born in South Africa, I am unable to make application on line. Is there somewhere I can find and download the application forms to print out? When your South African passport expires you have to complete a new application to get a new passport. To apply for the passport, you must submit the following documents: A duly completed passport application Form DHA-73 (this can be found on Home Affairs website) Your original identity document and a copy, or a birth certificate and copy thereof if under 16. Please help, i would like to find out if we can go to any bank to do this passport / ID process? Or do you have to have an account with the specific bank and go there? Only some banks / branches offer this service. You will need to have an account with that bank to renewing your passport. However please contact the bank direct as they will be able to give you the most up to date information on this service they provide. If I do my application for a passport and smartcard for myself and my son at Standard bank Centurion, can I fetch his smartcard and passport on his behalf. He has just turned 16. We live in Durban but are coming up to Pretoria for a school activity. He can do the application with me but wont be able to collect, can I do this on his behalf? Best to contact the bank direct to see if this is permitted. If they will allow you to collect on his behalf and what documents would be required when doing so. Is it possible to follow this process when making the application from overseas? I wonder if I can submit the biometric information at the SA embassy in the overseas country where I live (Netherlands). To collect the passport I could always get a family member in SA to do that for me. Applications made within South African borders can be submitted to any office of the Department of Home Affairs; applications made outside of the country can be submitted to your nearest South Africa embassy or mission. Any idea on when the passport / smart ID card renewal option will be available at any of the Durban banks? Thanks. I’m afraid not. But fingers crossed it will be soon. Best to contact the banks to see if they can provide information on when they will be providing this service. Do i have to bank with the bank that i choose to visit to get my passport? That is correct, you will need to have an account with that bank you will be renewing your passport through. Hi, i applied for my passport, have take biometrics etc at the Centurion Lifestyle branch. It is now ready for collection however i would not be able to make it to collect myself. Any idea if my husband can fetch on my behalf? Tried calling home affairs but no answer and the FNB branch number listed goes directly to the call centre? Please help, thanks. Please note this information could have since changed so we do recommend you keep trying to get hold of Home Affairs to see what they advise. I last applied for a passport in 1990, it expired a long time ago, I don’t even know where it went to, now I want to reapply for a new one, what can I do since I must produce the old one when reapplying. If the passport is lost or destroyed, one should report it to the Department of Home Affairs or even the police so you can get a statement for when you need to apply for a new passport. The Department of Home Affairs might ask you for this document when applying for your new passport. Anyone else having the problem of once clicking the Create New Passport Application button it takes you back to the login screen requiring the OTP again? Seems to be stuck in a loop. Both contact numbers don’t appear to work and so far no response to emails I have sent. Hi, the sessions do expire. However if you log out and log back in, they will be on the home work page. Same happened to me but its sorted out. I did the e-application through Canal Walk / Century City Standard Bank in Cape Town. I did show my air ticket as proof that I was traveling in 15 days and asked them to prioritize. 10 days later no one at the branch answers the phone. E-home affairs is not answering their phones. How do I get a status update. What do I do if I have to travel for an emergency. Can someone please help. Sorry for the struggle you having. If you are not able to get through and not getting any response, I would suggest if possible to go their direct to see if they can give an update on how fare along is your passport application. My son’s child passport has expired. He wishes to holiday in Mozambique from 6th April and turns 18 on 4th April. Am I able to apply for an adult passport and will I get an emergency one in time to travel? You can apply for an emergency passport. The turn around time with normal passports these days are so quick +/- 7 working days. This time frame is not a guarantee and could take longer. Best to contact Home Affairs, they will be able to advise on the correct and most up to date procedure to follow and how long it could take to receive an emergency passport. Two questions: Can children (youngsters under 16 who have had passports in the past) renew their passports at the banks? We have the expired passports. Also, two of our kids were born here, the other two were born while on a visit to the US. Do those two have to apply at a Home Affairs and not the bank? I can’t find anything definite. To my knowledge, the service is only for Citizen who born in South Africa that can register the profile. And a minor can not register for they own application. You would need to renew their passport directly at Home Affairs. Exactly how long after returning to South Africa from a holiday does ones passport have to be valid ? Ones passport has to be valid for 6 months or more from date of return. Please check with the airline you travelling with just to double check as this info could change at anytime. Dept Home Affairs website addresses http://www.dha.co.za and https://ehome.dha.gov.za appear today (7 March) to be hacked as they take you to random totally incorrect websites ! Worked OK a few days ago but not now . After successfully registering online for a passport renewal in Cape Town , we found that paying via internet on a Nedbank account would not work for a biometrics visit to Standard Bank Canal Walk Branch (Cape Town) the only bank where biometrics are done in Cape Town . You have to fly to Nedbank Sandown or Lakeview (both in Johannesburg) to have the biometrics done ! In other words your internet bank account and chosen biometrics bank branch can only be with the same bank . Thus in Cape Town at present , you have to have a Standard Bank internet banking facility in order to have the biometrics done at the Standard Bank Canal Walk branch in Cape Town . This is not made clear in any of the instructions offered by Travelstart or the Dept Home Affairs . And you cannot use the Standard Bank option if you were not born in SA. This needs to be made clearer! We were trying to apply renew pastport for our Child who is 15 years old. And we found this services is only for Citizen who born in South Africa that can register the profile. And minor can not register for they own application too. Thanks for taking the some to share your feedback with us. We have mentioned in our disclaimer: All information on this blog page was correct at the time of publishing and may change at any time without prior notice from the original source.Travelstart is not affiliated to immigration authorities or their application centres and will not be liable for loss or inconvenience arising from the use of information from this website. I regret to hear you have struggled to get through to Home Affairs. I can understand the frustration. Maybe best to go in and speak to an agent. If you live in Cape Town you have to open a Standard Bank account to do the payment. It is the only way of paying. It took me hours on the phone with home affairs to find this out. This article has incorrect information. We followed the process step-by-step, only to find that there are now only 3 x branches in Gauteng where you can book and each have a 3 week – 2 month waiting period AND is only available to FNB customers. Unfortunately, this information only becomes available on the website AFTER you pay your R800. Prior to payment it shows all the branches listed in your article, but when you actually try to book online, there are only 3 available – 2x FNB’s in PTA and 1x in JHB CBD. What a nightmare – if I new this I would have just paid one of those queuing companies to sort this out. Sorry to hear you did not have a great experience when trying to renewing your passport. Please could you let me know if I can send my husband to collect my passport on my behalf if I provide him with a letter and my ID? For this you would need to contact your bank direct. They will be able to answer any online payment queries you might have. So everyone I knows passport is in colour but mine is black and white. Why would this be?? To my knowledge yes all passports should be issued in colour. I would check this with the relevant issuing authorities, they will be able to assist you with your query. Hi there – can I renew my childs passport using the online portal? It is indeed possible. You welcome to read this article which confirms one is able to renew their child’s passport online. Will there be additional Nedbank branches in Johannesburg area which will do the biometrics for passport renewals in the near future? For this you would need to contact the bank direct. They will be able to provide you with this info on which of their branches offers this service. How do I add the Department of Home Affairs as a beneficiary on absa internet banking. I need this in order to to give payment instruction for my passport application. Could you please assist with this. For this you would need to contact Absa directly. They will be able to provide you with a step by step guide on how to use add a beneficiary. Well done on this post. You’ve just put my mind at ease. How long after you apply will it be renewed? Can you pay to have the process expedited? Even after doing everything online, allow at least 5 hours to complete your biometrics at Home Affairs and 2 hours to collect your passport once it’s ready, due to process inefficiencies, understaffing and all the people panic-applying for smartcards due to a rumour doing the rounds on social media. Admittedly, it only took about 7 working days for my new passport to arrive. I want to travel to Rwanda end March. My visa expires 17 July 2018 which does not give me 6 months availability beyond date of departure. I registered online and now l am required to pay R800 instead of R400, as l am already in possession of a passport. You know my reason for application! Now l am being told to go to a Home Affairs office for them to manually override this. Ridiculous!!! You know the requirements. I am not applying for a renewal because l am sitting at home doing nothing, l am applying because it is a requirement of Rwanda for my passport to be valid 6 months after date of arrival there at end March and to 17 July is only 3 and a half months, not 6!!!!! I’m having the same problem – my passport is full, and the fee breakdown on the Home Affairs site says if you have a full passport but are still in possession of the old one, the fee should be R400. BUT, on the online application site if you say your passport is full it automatically adds a R400 penalty for a lost passport. It’s a crock. Derrick McDonald. Concur with Abbas Khan, online app is irrelevant. Besides the home Affairs staff couldn’t care a damn. One can queue for 6 hours and be told to come back the next day. It’s the most soul destroying process. And to add to your woes there only one server providing links to the whole country! Please tell us this is not true!! I must say that in theory the digital application is fantastic. In practice however just like Mr Khan above we had to wait in a queue for over 6 hours even after doing the online application. This after 3 or 4 visits to Home Affairs, queuing and then being told that their system was offline and because of having done the online payment they couldn’t help us. the website is hopeless…cannot get OTP to complete verification if you’re on a Mac..doesnt work on safari,firefox or chrome…. Do you need to leave your current/expired passport at the bank when you go in to do the biometrics? and second do you need to collect the passport in person? Can someone collect it on your behalf? To my knowledge, you would need to give in your expired passport when applying for your new one. Best to contact the bank for this and they will be able to answer if you would need to collect your passport or if someone would be able to collect on your behalf. Why is Durban not included in this new on line passport application or the Durban major banks? When will it come here? Hopefully soon. Best to contact your bank, they should be able to provide info on when this service will be offered and at what branches. Why is KZN so far behind ? When will we be able to go to the Banks here …….. This option is only available to South African citizens born in South Africa. So there’s no Durban or Pietermaritzburg! Why? For this you would need to contact the banks and see why this service is not offered in these cities. May they are rolling it out, and first trying it out in the major cities. Again to get the correct answer, if you could contact you bank and they will be able to advise accordingly. Can you travel to Zimbabwe on a temporary passport? I found the following info however this was last updated in 2016. You will need to contact the airline you are travelling with as well as Embassy they will be able to provide you with the most up to date info. I do not receive the online home affairs is to send. I’m not sure what your question is. You welcome to contact them direct and they will be able to answer any queries you might have. Sorry to hear that you have been struggling. Best to contact Home Affairs, they should be able to assist. I’m sure they also welcome all feedback where there be problems on their website so they can look into this and try fix it. However, I consider that Home Affairs seem to have the procedure sorted out. But not the process !! which depends on local area manager and his office staff. We in Cape Town go to Malmesbury’s Home Affairs and get our things sorted out! That adds 85 km. to the process. I want to change my surname back to my maiden name. Does that affect the process? Please contact Home Affairs they will be able to provide you with the correct procedures to follow when changing your surname back to your maiden name and when applying for a new passport. We went to Pinetown today and were turned away as they only process 80/day!!! According to FNB Bellville they do not do biometrics. A launch project only in Gauteng. Is that correct? If this is what FNB have advised you this would be the correct info. They will be able to provide one with the most up to date info on when they would be offering this service. Unfortunately in Durban you will still have to queue up with the people applying for their smart IDs. Your online application is irrelevant. Lines start from 2 am and the days quota is 300. Can I get the passport forms online so as to save time waiting in endless queues at Home Affairs? Below is the link to eHomeAffairs. This will enable you as a South African born citizen to apply for your Smart ID Card and/or passport online. Hi my sister and I both need to renew our passports – her bag was stolen some years ago and the old passport along with it – what does she have to do now – it did expire some years ago. Please advise further – Thank You. She might need to report this at the police station first – that her passport was stolen. And once she has the document from the police station then you can both contact Home Affairs to apply for your new passport. You welcome to read our blog: A Guide To A South African Passport Renewal. Here we shed some light on the procedures to follow. However, this information could have changed at any time so please contact Home Affairs direct for the most up to date info and correct procedures to follow when applying. To my knowledge, you would need to travel with both passports. Your new one as well as your expired one with the valid visa. However this info is not guaranteed and we recommend you contact the Embassy and Home Affairs direct as well as the airline you wish to travel on. They will be able to provide you with the most up to date information.